Paintings from the Indian subcontinent bedazzle the viewer with their minute details, colours and aesthetic qualities. Relatively modest in size, they often illustrate historical events, religious texts and poetry, or document life at court. Painted with watersolved pigments on paper, they invite closer observation and allow insight into the artistic traditions of India. 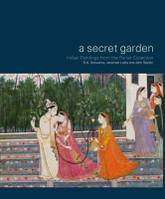 A Secret Garden is the name of an outstanding private collection of Indian paintings. It comprises works spanning seven centuries from the time of the Sultans (1206-1526) through to the nineteenth century. This new book features a selection of 105 artworks from Danielle Porret's collection. 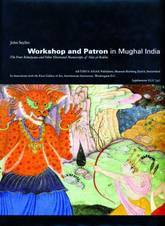 Each entry provides a stylistic analysis of the painting as well as a discussion of the subject matter by leading experts in the field of Indian painting. Museum Rietberg Zurich is one of Europe's leading museums for non-European art. 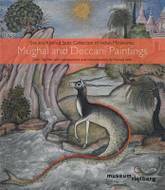 Deccani paintings, drawings, and manuscripts in the Jagdish and Kamla Mittal Museum of Indian Art: 2 vols. (Set).